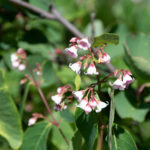 Since 2016, two Waskahegan members have been photographing and researching the ground flora species on the diverse terrain of this unique trail. The result of their work is the Flower Project. The team is working hard to ensure that the botanical descriptions are from established, reliable sources. 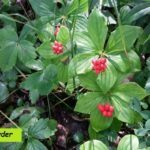 As much as possible, the photos on these pages are of actual plants found on the trail. 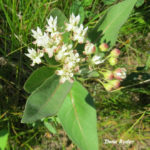 We hope that the “Waskahegan Field Notes” that accompany each plant description will either educate or entertain you in what these plants mean to us locally. As work continues on the curation of the photos and the botanical descriptions, more species will be added to the collection. 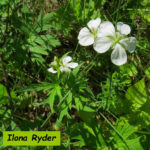 Have you seen an interesting plant on the trail? The Flower Project team would like to hear from you. 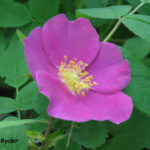 Email your photo and your “Field Notes”—including the date (or approximate time frame), the section of trail, and anything you find interesting about the plant (e.g., its habitat, what it means to you, etc.). Send it to flowerproject@waskahegantrail.ca. 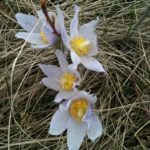 Prairie Crocus (Anemone patens) blooms so early in the grasslands that snow may still be on the ground.